I am commencing The Iris Week with the review of my most favorite iris scent and one of my overall favorites, Orchidée Blanche by L’Artisan. A fragrance called White Orchid is an iris scent? Strangely, it is. I am not an expert in orchids, and for all I know there does exist a white variety that smells like iris and honey. The mystery of the name aside, Orchidée Blanche is an iris perfume that gives an elegant, very attractive tribute to all aspects of the note. Iris here demonstrates its airy floral side and its earthy rootiness, but what I especially like about the scent is the fact that it also shows the warm, sweet side of iris, something that does not seem to be often emphasized in perfumery (I can, however, think of an even warmer and sweeter iris scent, Parfumerie Generale’s Iris Taizo, an exotic, honeyed and balsamic rendition of iris). Orchidée Blanche is one of those harmonious, perfectly balanced compositions that unite seemingly incompatible characteristics. The scent is dry and sweet, almost-harsh and velvety; it is simultaneously refined, chic, comfortable and easy-going. The near-harshness I mentioned pertains to the very beginning of the scent, where the earthiness of iris is accentuated by a very dry wood-and-honey accord. This dry leitmotif would run parallel with the warm, sweet theme throughout the scent’s development, making sure that although from the middle notes forward the honey and iris accord of Orchidée Blanche acquires a much softer, truly “honeyed” quality, the earthy-rooty-woody undercurrent is forever present, emphasizing the multifaceted, complex character of iris. Orchidée Blanche is a fascinating, masterfully designed composition, and it saddens me to think that L’Artisan is discontinuing it. To produce fleeting, rather simplistic limited summer editions like Mandarine Tout Simplement and to stop making such beautiful modern classics like Orchidée Blanche…I realize that the more hyped up one-summer wonders sell better, but surely there can be found a place in L'Artisan's collection for what is one of their most charming creations. 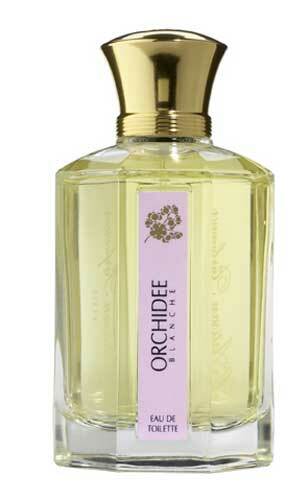 Orchidee Blanche seems to be still available at laboutiquedelartisanparfumeur.com, $110.00 for 100ml. Get it while you can. Thank you, I am so glad you like!! I can't understand why OB is getting a sack from L'Artisan's line. I can't imagine that it sells the worst. Surely there are other, more unconventional, less universally appealing scents they have that might do worse? Or perhaps I can't be objective since I love OB so much. I am just very sad that it is going. M, I like the summery, minimalistic version of your blog very much. OB sounds delicious (no spices or vetiver this time ;) ? ), may I ask you on how many bottles did you stock up? The honey and wood in this scent are what makes me love it so. Wore it for years and never thought it would be discontinued. Definitely a mistake on their part. Iris hates you? In all its incarnations? What I mean is, the iris in, say, Hiris, is not the same Iris as in, say, Bois d'Iris. I will be happy to send some OB your way to re-try! Did you also like another honey and wood scent, Miel de Bois? I couldn't get into that, as much as I tried. It wasn't repulsive on me, I didn't get any...um...pee notes, but still, it was just not working. Too harsh I guess. LOL! I am one of the 4 people in the universe who does indeed like Miel de Bois. I trust my supply is secure. I do admit that it is a "difficult" scent, but it works on my skin as long as I only apply a minute amount - too much and it becomes harsh. I THOUGHT I posted here. Either I'm not awake, or you hated my comment (admittedly, it wasn't that great). I love the new look and I love this scent. Like Ina, I find the opening difficult, but the drydown is fantastic! Must get a bottle before it disappears completely. You don't have a bottle yet? Oh, thne you really should get it while it is still sold. The one SL scent I really hated was La Myrrhe. Gosh, it was bad on me. I just sampled Timbuktu, and according to DD1, "it is so EEWWW!" So maybe L'artisan should look at ditching Timbuktu instead! Now, the dilemma...do I try and scare up a sample to smell, knowing that if I love it, it will be near-impossible to find? Or do I remain in ignorance of what seems to be a great scent? It's funny because yesterday, when I thought about what L'Artisan scent I wouldn't have been surprised to see discontined, I thought of Timbuktu as well. I don't dislike it at all, but it just seems to me that it should have an even less universal appeal than Orchidee Blanche. I think you would be safe getting a sample now, since OB seems still to be available, at L'Artisan's own website, for example. Honey, the kiss of death for me, but 'tis a shame. The name and notes are so beautiful, and I am so sorry for all of you that love it that it will be going soon. I hate that word.... "discontinued." ARGGGG! M, Hiris is the only one thus far that doesn't hate me :-( They all hate me, why, WHY! TDC Iris on me is so rank it's funny. ISM on me would summon the hazmat team. Wait till you read what your Russian iris did.... so I would love to re-try OB! Blogger "works" (and I use that term loosely) like cr*p. No worries! I will include some OB in yuor package then. I canot wait to know what unthinkable things Russian Iris did to you. Har har har. I udnerstand that Patty loved it! I hate it when companies discontinue fragrances. Even when they are not my favorites, it just feels wrong. I look forward to sampling Orchidee Blanche. Thanks for Iris focus. I love Iris and she loves me. My fellow iris lover, how nice to hear from you! Would love to know what you think about Orchidee Blanche. Follow-up on Ina's comment. Lusciouscargo does have bottles (at least, they let me buy one; you can never be quite sure with them:) Same price as the L'A boutique, but you can pick samples. Did you call LC to order? EFT checking in...from my testing notes on OB: "not entirely horrible, but certainly not necessary". Here's the scoop: I hadn't called them (just ordered online), but I got nervous when I saw your question, so I called and spoke to Marcy. She looked at their latest L'Artisan shipment (just came in, I guess), and said they had AT LEAST 2 bottles, one of which is mine (MINE, do you hear!?:). They may have a few more: she ordered 6 and hasn't fully unpacked the shipment yet, but she said they don't always get everything they order. Ready your credit cards. . .
Oh, good! Great to hear they had one for you and that there might be more! I love it, and I still do not comprehend why on earth it was slated to be discontinued. However, here is the place where the consumers can change the tide--if there is enough demand for it, I have no doubt, it will return. I hereby demand the return of Orchidee Blanche. Thank you for introducing me to this lovely fragrance. Wow, your description is lovely. I probably wouldn't be able to wear this because of the honey, but I think it's tragic that they are discontinuing it! Thank you! If you are uneasy about a honey note, you probably won't like it, although this is a rather dry, no overly sweet note. i always looked for the scent of orchids, because my name means ' as if an orchid'. how i long to know what 'message from orchids' would be on my skin, because i loved wearing shisaido's femininite du bois. my mother's friend is going to japan, i asked if she could find me a sample. then i will bully all my freinds into sniffing it on my wrist and telling me if i smell gorgeous. i noticed that the perfume you recomemended to me that sounded most interesting: l'air du desrt marocain, was reviewed on my birthday this year! maybe its a sign! alas, i havent been able to purchase any of the rare and exotic perfumes you recommended, due to continued high medical bills. so far, my more selective friends like 'TROUBLE" on me, but it doesnt even last an hour so i will settle for samples rather than buy the pretty red bottle. also favorites are PREMIERE FIGUIER ( i do recall how that smelled , a bit) and WILD FIG. hopefully i wont be reduced to egttinga batha nd body works knock off body spary of BROWN SUGAR FIG.. So nice to hear frm you again! Actually, Trouble is one of my favorite scents, I think it smells wonderful. Amd gosh, definitely ask your friend who is going to Japan to bring you some Message from Orhids, I promise you, it smells divine! i just looked at my comment, what awful typing ( this is rulanova/aka dansconstellar), and i just found someone who will decant a little of l'air du desert marocaine for me for $12- i am thrilled! i will wear it and demand that all my friends describe it in untmost poetic detail! well, cheaper than a trip to marrakesch although maybe that will lie in my future! As somebody who owns a greenhouse full of orchids, I can tell you that a surprising number of them either have no perceptible scent (to human noses, anyway), or smell rather foul. I have one with a beautiful single blossom which smells like rotting fish. On the other hand, some of the smallest, most insignificant orchid blossoms have the most enjoyable scents. They never cease to surprise (and delight). My favorite orchid scent is probably that of the species Phalaenopsis violacea, which bears its small flowers singly, but whose blossoms have a spicy, fruity, balsamic scent (myrrh!) that I never tired of smelling. Even among this species, there are several varieties, all with slight variations in scent, but the basic theme is the same. This isvery interesting! I always wanted to hear from someone who knows orchids. And when you say one of the species has a spicy, fruity, balsamic scent, that actually describes quite well a perfume by Shiseido, called Message From Orchids, even though they say it is a hommage to another species (forgot which one, sorry). But the perfume does smell just like that.